A recent study by the British Geological Survey, in association with researchers at the University of Leicester, has delved into the bone and tooth chemistry of King Richard III and uncovered fascinating new details about the life and diet of Britain's last Plantagenet king. The study, published in Elsevier's Journal of Archaeological Science indicates a change in diet and location in his early childhood, and in later life, a diet filled with expensive, high status food and drink. This forensic study, the most complete to have been conducted on a medieval monarch, will feature in a documentary, Richard III: The New Evidence, airing on Channel 4 on Sunday 17th August at 9pm. Isotope analysis of bone and tooth material from King Richard III has revealed previously unknown details of his early life and the change in his diet when he became King two years and two months before he was killed at the Battle of Bosworth. The research examines the changes in chemistry found in the teeth, the femur and the rib; all of which develop and rebuild at different stages of life. Isotope measurements that relate to geographical location, pollution and diet (strontium, nitrogen, oxygen, carbon and lead) were analysed in three locations on the skeleton of Richard III. The teeth, which form in childhood, confirmed that Richard had moved from Fotheringay castle in eastern England by the time he was seven. The data suggest that during this time he was in an area of higher rainfall, older rocks and with a changed diet relative to his place of birth in Northamptonshire. By examining the femur, which represents an average of the 15 years before death, researchers show that Richard moved back to eastern England as an adolescent or young adult, and had a diet that matched the highest aristocracy. The third location, the rib, renews itself relatively quickly, so it only represents between 2 and 5 years of life before death. Data from the isotopes in this bone indicate the greatest change in diet. Although an alteration in the chemistry between the femur and the rib of Richard III could indicate relocation, historical records show that Richard did not move from the east of England in the 2 years prior to his death when he was King. As such, this chemical change is more likely to represent a change in diet relating to his period as King. The difference suggests an increase in consumption of freshwater fish and birds, which were popular additions to royal banquets at the time and included birds such as swan, crane, heron and egret. In addition, the bone chemistry suggests he was drinking more wine during his short reign as King and reinforces the idea that food and drink were strongly linked to social status in Medieval England. Dr Angela Lamb, Isotope Geochemist and lead author of the paper says, "The chemistry of Richard III's teeth and bones reveal changes in his geographical movements, diet and social status throughout his life." Richard Buckley from the University of Leicester Archaeological Services and lead archaeologist in the Richard III dig, said, "This cutting edge research has provided a unique opportunity to shed new light on the diet and environment of a major historical figure –Richard III. It is very rare indeed in archaeology to be able to identify a named individual with precise dates and a documented life. This has enabled the stable-isotope analysis to show how his environment changed at different times in his life and, perhaps most significantly, identified marked changes in his diet when he became king in 1483." The Dig for Richard III was led by the University of Leicester, working with Leicester City Council and in association with the Richard III Society. The originator of the Search project was Philippa Langley of the Richard III Society. 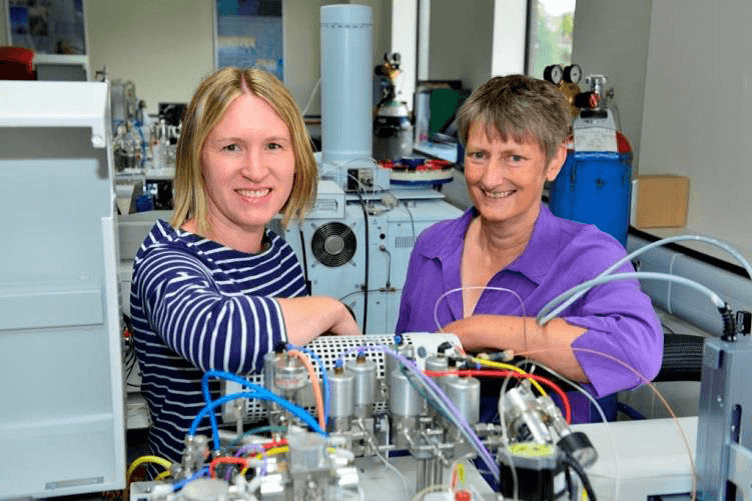 Dr Angela Lamb and Professor Jane Evans in the isotope laboratory; Skull of King Richard III © University of Leicester. 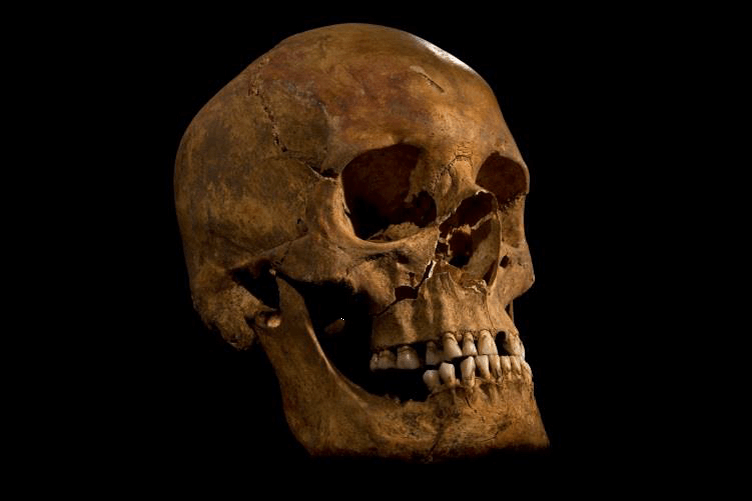 Study: "Multi-isotope analysis demonstrates significant lifestyle changes in King Richard III" by Angela L. Lamb, Jane E. Evans, Richard Buckley, Jo Appleby (http://dx.doi.org/10.1016/j.jas.2014.06.021); Journal of Archaeological Science, published by Elsevier. Copies of this paper are available to credentialed journalists upon request; please contact Elsevier's Newsroom at newsroom@elsevier.com or +31 20 4853564. After 00:01 Sunday 17th August BST the paper will be published open access and will be available for all on ScienceDirect. The Natural Environment Research Council (NERC) is the UK's main agency for funding and managing world-class research, training and knowledge exchange in the environmental sciences. It coordinates some of the world's most exciting research projects, tackling major issues such as climate change, food security, environmental influences on human health, the genetic make-up of life on earth, and much more. NERC receives around £300 million a year from the government's science budget, which it uses to fund research and training in universities and its own research centres. The Journal of Archaeological Science is aimed at archaeologists and scientists with particular interests in advancing the development and application of scientific techniques and methodologies to all areas of archaeology. This established monthly journal publishes original research papers and major review articles, of wide archaeological significance. The journal provides an international forum for archaeologists and scientists from widely different scientific backgrounds who share a common interest in developing and applying scientific methods to inform major debates through improving the quality and reliability of scientific information derived from archaeological research.